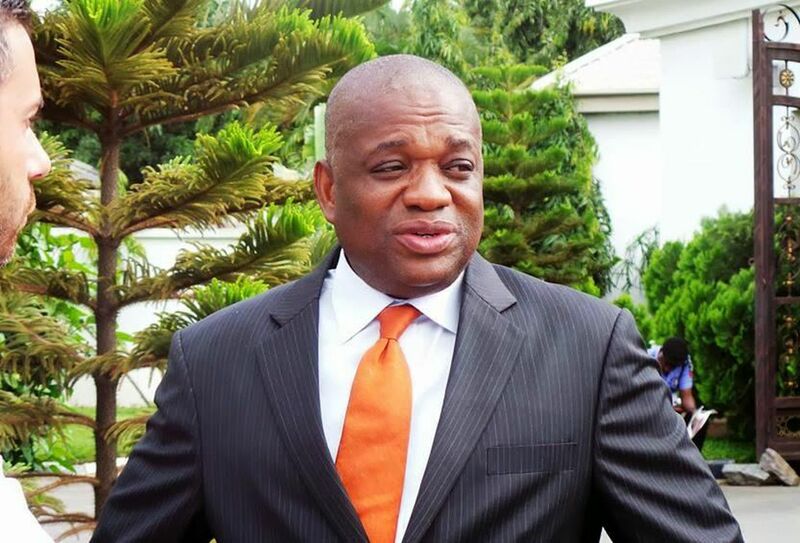 Ahead of the 2019 general elections, about 7,000 youths are currently contributing N1,000 each to buy the nomination form for former governor of Abia State, Dr. Orji Uzor Kalu, to contest for Abia North senatorial seat. The youths, under the group known as O.U.K Volunteers, described Orji Kalu as a ‘dynamic and trusted’ leader who has created many jobs and should be at the National Assembly to continue his good works. The youths noted that they knew Orji Kalu could afford his nomination form, but they wanted to show appreciation for all he had done for them, and also to make sure no stone was left unturned in ensuring that he got to the National Assembly where they were sure he would make a mark. Speaking to newsmen about the campaign, National Secretary of the O.U.K volunteers, Emeh James Anyalekwa, said #7000Youth4OUK is not about money, but it is a mass movement, a practical show of love by youths who believe in OUK. “We are youths who have been positively impacted by OUK legacies via free education, scholarships and employments etc. “Kalu has built and still building more companies to employ the youths than any other Nigerian politician living or dead”. “OUK has made more youth millionaires and billionaires than any other Abia politician living or dead, these are verifiable facts”. “OUK gave free education in Abia from 1999-2007. The children who benefited from these people-oriented programmes are now successful adults who want to show appreciation and love to a man who has done so much for the youths. “It’s on record that OUK paid 13th month salary to civil servants from 1999-2007. Mass of the beneficiaries were youths. OUK has made more youth millionaires and billionaires than any other Abia politician living or dead”. “OUK employed more youths than all past and present governors of Abia State put together. This year alone, OUK has given out over N2 billion free interest loans to petty traders through the OUK FOUNDATION FREE INTEREST LOAN SCHEME; mass of beneficiaries were youths. “How else can a man demonstrate his love for his people? And right now, we can’t think of any better way to show our appreciation. “We want OUK in the Senate because we know this will provide him with the tool to do more”. “As a private Individual, Kalu in two years has attracted more Kilometres of roads than all the NASS members in Abia State put together. Why should we have such a personality and misfits are representing us in the Senate?”. “Kalu may not be perfect but we believe he is far Better than those contesting against him. He’s our MVP. Our support for him is selfless. “While others seek monetary inducement from politicians, we’re contributing N1000 each to support OUK”. “If tomorrow we see a better candidate for the seat, we will tell Kalu to step down. All we want is the best for Abia North and Nigeria at large”. “For those who criticise Kalu for not supporting the agitation for Nigetia’s break up, you should know that, except Ojukwu, nobody loves Ndigbo and has fought for Igbo interest like Kalu. “He has never pretended about his position on Biafra, he believes Igbo interest is better protected in a United Nigeria. We are too committed in the Nigerian project to back out now. “In April 2013, OUK became the first Igbo to address UK Parliament on ‘Historical Plight & Precarious future of Igbo people in Nigeria. Factfile. “Though OUK disagreed with Kanu on Biafra, he condemned his incarceration as infringement on his fundamental human rights and he campaigned vigorously for his release. “In fact, OUK was the first former hgovernor and VIP to visit Nnamdi Kanu in Kuje Prisons in December 2016. Speaking further, Benjamin Kalu, who is also a house of Representatives aspirant for Bende Federal Constituency said, “we intend to present a whitelist of all the 7000 contributors and the APC nomination form to Kalu during the Mega Youth Rally in Igbere Next week”. He urged those who want to join the OUK Volunteers to send SMS “OUK Volunteer” to 08092004116 and those who wish to make donations to pay to their Keystone Bank account. The details are as follows: Account Name: OUK Volunteers, Account number: 1007100076 or pay cash at OUK Volunteers Aba Office @ 125 St. Michaels Road Aba.